engineerglasses | Never question an engineer's judgment. Religion is often cited as a cause for wars, including contemporary conflicts in Syria, Iraq and Gaza and perhaps even partially in Ukraine. However, a review of recent and historical conflicts suggests that religion is often used to exhort populations or specific groups of people to war, while the real causes of war maybe economics, mutual distrust and fear of the unknown future. The global news media has it that the Islamic Caliphate, otherwise known as ISIL, or ISIS, is an extremist Sunni Muslim state being formed over the territories of two states dominated by Shia governments: Iraq, dominated by a majority Shia population and government, and Syria, still officially ruled by the Shia Alawite minority. Mostly Shia Iraqi army is struggling to contain the Caliphate, even supported by the Shia Iran and a number of mostly Christian states, among them the United States and the United Kingdom. 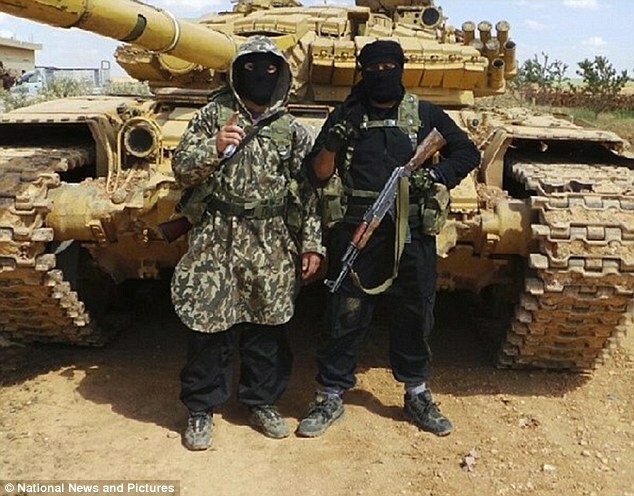 The Caliphate is receiving money and fighters from the Sunni Muslims all over the world, some of whom are doing so because they have declared Jihad, a holy war against enemies of Islam. In addition to their war against the Shia governments, the Caliphate fighters are persecuting all other religious minorities within their reach: Christians, Yazidis, etc. Although probably no one would claim that the war in Ukraine is a religious war, there is a religious aspect of the Ukrainian war: Eastern Ukraine is Orthodox owing allegiance to the Patriarch in Sergiyev Posad while Western Ukraine is either Uniate (an Orthodox church with allegiance to Rome) or Catholic. There have been news stories which have accused the Eastern Ukrainian priests of aiding the Eastern Ukrainian rebels and preaching against the ultra-nationalist Ukrainian government as well as stories about persecution of the Orthodox priests by the Ukrainian ultranationalists. Chechen War was proclaimed a jihad and attracted a number of foreign fighters from Turkey and Arab countries. A book “My Jihad” is a compelling story of an American, Aukai Collins, who converted to Islam and went to fight in Chechnya. How much of the story is true isn’t known. In one particularly gruesome episode the author describes how the fighters of the jihadi unit snuck into the Russian army barracks and in cold blood slit the throats of a number of Russian conscripts, boys of 18 to 20 years old, who just arrived at the front. The author later appears to have cooperated with FBI and CIA against his former cohorts. Jihad, or holy war, has been proclaimed by one or other Muslim authority in Afghanistan, certainly when it had a socialist government in the late 80s. Remember Charlie Wilson’s “brave mujahedeen”? The fighters who “fought on the side of freedom” against “Russian aggression” later turned out to be Taliban and Al-Qaeda. They harbored those who planned 9-11 and are continuing to cost the United States and its allies thousands in lives and billions in budgetary expenditures. Expenditures which may have gone to improve the lot of the poor in the developed countries, raised the level of education, developed new scientific breakthroughs, etc. There have been a number of religious wars through history. The enormously destructive Thirty Year War in central Europe in the early 17th century pitted, for the most part, Protestants against Catholics. The war laid waste to most of Germany and parts of Belgium, Denmark and Czech lands. In some parts of Germany as many as a half of all men were killed and a total population was reduced by 25 to 40%. All sides, much to the detriment of the local population, used mercenary forces, at times hiring entire professional armies-for-hire supported by artillery, baggage train, and commissary. Unfortunately, the main method of provisioning the armies was the so-called “off-the-land” method, featuring indiscriminate looting of the local population which responded by periodically killing military foraging parties and stragglers. The war was also a crucible of re-emergence of combined-arms warfare using Swiss and German pike-wielding heavy infantry, harquebusier light infantry, reiter light cavalry and lancer heavy cavalry. The Battle of the Ice culminated a campaign by the knights of the catholic Teutonic order against the Orthodox Novgorod Republic. During the battle, the heavily armed Teutonic knights charged into the middle of the Russian array in a customary wedge formation. Their plan followed the traditional heavy cavalry tactic of attempting to burst through the ranks, wheel and take the wing formations in the rear. Some of the order’s men-at-arms on foot as well as Estonian infantry followed to exploit the breech. Russian forces arrayed in the traditional linear formation with the Alexander Nevsky’s heavily armed personal guard (the companions) formed in the middle and the Novgorod and Pskov militia on the flanks. In a variation on the typical battle order, the Russian bowmen formed in a single unit in front of the guardsmen, thus masking them. When the Teutonic wedge broke through the bowmen, they were halted by the heavily armed guard and entangled into a static melee. The Russian militia advanced to encircle the Teutonic cavalry and infantry, surrounding most and pursuing the rest for seven miles. During the pursuit some heavily armed knights and footmen fell through the ice. 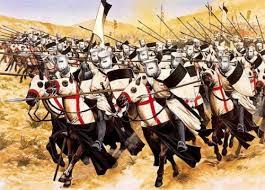 The First Crusade had two columns, one of 20000 largely unarmed people who were ambushed and massacred by the Turks. The other decidedly less pacific group of French knights and men-at-arms massacred Jewish populations of European cities they passed through, inflicted heavy defeats on Turks and Arab they encountered and annihilated Muslim and Jewish inhabitants of the Levant cities they took by siege. The Second Crusade featured massacres of the Jews in Germany as well as Reconquista of Lisbon from Moors. 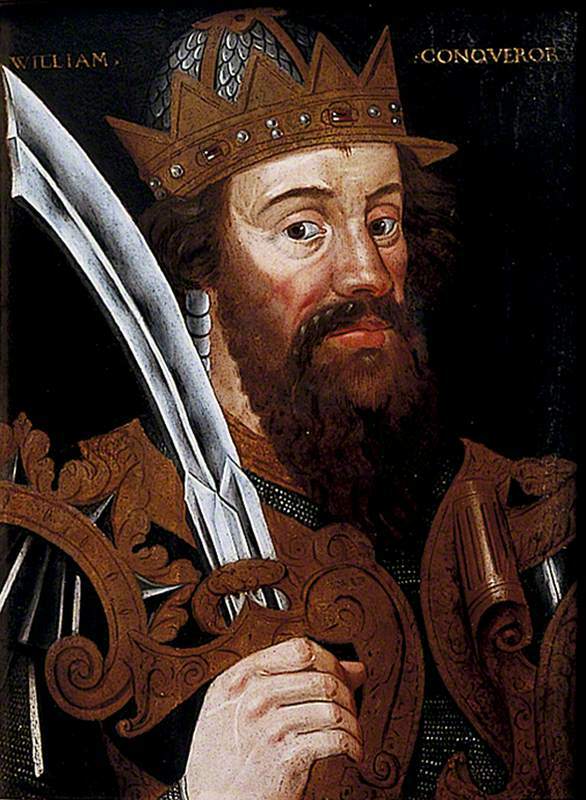 The Third Crusade was led by the powerful and colorful kings: Richard the Lionheart (of England), Frederick Barbarossa (Holy Roman Emperor) and Philipp Augustus (of France), started out in a promising manner, but fizzled after a few victories in the field. The infamous Fourth Crusade, having started out against Muslims, turned against Orthodox Christians, resulting in the first in history fall of Constantinople and a short-lived Latin Roman Empire. Subsequent crusades were less notable but fortunately also less iniquitous. The Muslim Conquest of the 7th and 8th centuries is thought to be a religious war. Arab armies supported increasingly by local converts to Islam conquered territories from India and Central Asia to Spain. In process they destroyed the Persian Sassanid Empire, which existed under one dynasty or another since time immemorial. They also greatly diminished the Roman Empire, taking all of their territories in Mesopotamia and North Africa. They annihilated the upstart vandal kingdom in North Africa and Visigoth principalities in Spain. They nearly took over southern France before being halted by Charles Martel in the Battle of Tours. Central Asian Turkic tribes, Khazars of southern Russian planes, and Hindu kings of Rajasthan all defeated attempts at further expansion of the original Muslim Caliphate. Vardanank was a war between the Christian Armenians and Zoroastrian Persians around 450 AD. For much of its history Armenia was a pawn played by the superpowers of the ancient world: Persia and the Roman Empire. Persia attempted forcible conversion of Armenian nobility to Zoroastrianism to tie the country closer to Persia. 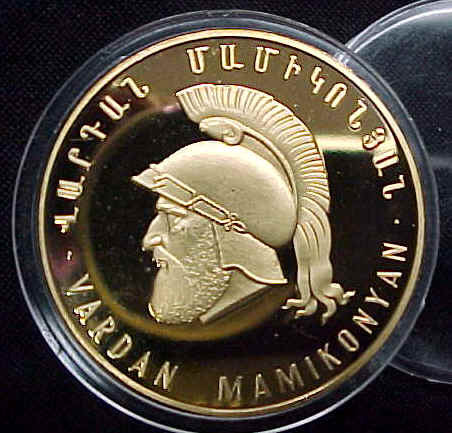 Vardan Mamikonian, the Armenian military commander, was persuaded to convert while in the Persian capital. However, upon return to Armenia he repudiated his conversion and set about gathering an army from the private guard units of the nobility. His quest was noticed by the people and soon became a national uprising, bringing in volunteers from around the country, including from those fiefs which chose not send their professional soldiers. At the time of the rebellion, a unit of Armenian cavalry fought for the Persians in Central Asia. Upon hearing of the uprising they went over to the enemy and made their way roundabout through Central Asia, Russian steppes and Caucasian mountain passes back to Armenia, offering their services as mercenaries for one warlord or another along the way. 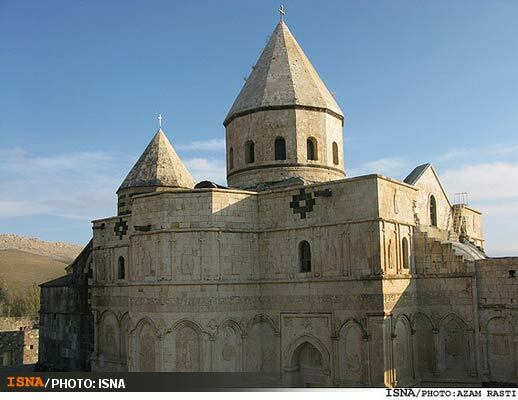 Both Vardan Mamikonian and his daughter Shushanik died during the war and were canonized by the church. Some think that religion is a frequent cause of war. The news storied keep harping on “sectarian violence” and “religious intolerance”. However, Encyclopedia of Wars lists only 123 of 1763 total wars having religion as the primary cause. Considering the recent conflicts it is clear that although Jihad serves as means to recruit fighters and bring donations to ISIL, the low standard of living in Syria and Iraq as well as disenfranchisement of Sunnis by ruling groups who happened to be Iraqi and Syrian Shiites also may be the causes of advent of the Caliphate. Desperate poverty and overcrowding of Gaza and continued stranglehold of Israel on any hope of better life for the Palestinians inhabiting Gaza may have been the true cause of the recent Gaza conflict. It may be that Israel finds itself in nearly constant warfare because it forcibly displaced Palestinians off their land to clear space for the Jewish state and deprived them of their property and livelihood. The lot of Palestinians, generations of whom by now have languished in poverty in Jordan, Lebanon, Gaza and West Bank, has not improved over the years. In addition to being Catholic or Unitarian, the Ukrainian West is also the poorest region in Europe. It is beset by institutional corruption and inefficient socialist institutions left over from the Soviet Union. It is grieved by memories of Russian persecution after being on the wrong side during the two World Wars. The Ukrainian West, goaded by the United States and NATO enmity to what they see as an emerging dictatorship in Russia, doesn’t have much to lose in causing unrest and war. 1990s were not kind to any of the states of the former Soviet Union. Abrupt discontinuation of centralized economy resulted in rampant inflation, staggering unemployment, lawlessness, widespread corruption. During these days of the Wild Wild East Chechnya was the Sicily of Russia. Chechens formed a dedicated nucleus of a number of criminal organizations in the countries of the former Soviet Union somewhat similar to the Sicilian mafia in Sicily and in the United States. In case of Chechnya, the mafia appears to have attempted to form a criminal state within a state as a place of refuge. Onslaught of the Russian army to prevent formation of a criminal haven caused the Chechens to cast about for the allies abroad. Afghanistan, always poor, much like Ukraine, became a geopolitical pawn. A socialist government came to power in the late 1970s and threatened the established leadership of the Afghani society. The resulting struggle led eventually to the declaration of Jihad against the overwhelmingly superior invading Russian army. The United States supported the Jihad with word and deed. In 2001 it was the turn of the United States to occupy Afghanistan with Russian help to try to bring stability to the warring land. Neither the United States, nor Russia have been successful so far. The Thirty Years War, nominally between Catholics and Protestants, was also a power struggle between numbers of German princes and later involved the Habsburg Empires of Spain and Austria, a rising Swedish power and ambition of Richelieu to protect France from encirclement by the Habsburgs. The Teutonic Knights attempted to impose Western European feudal order on the republics of Pskov and Novgorod, thus running afoul of the merchant elite which ruled both city-states. Alexander Nevsky himself, a later Orthodox saint, was an invited military commander in Novgorod. 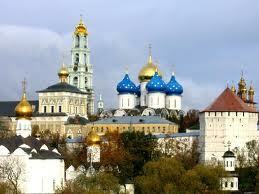 His relationship with the Novgorod city masters, the rich traders, was tenuous. On a number of occasions, he was banished from the city and another captain was brought in. The Novgorod merchant elite would fight any rule that would threaten their position. It’s reasonable to assume that the success of the First Crusade when minor French nobility became kings of large principalities in the Levant did much to popularize religious wars among the knights and monarchs of Europe. Eastern Roman Empire’s desire to recapture lost territory from Muslims and prospects for ferrying armies, provisions and a possibility of a direct route to eastern spices motivated the Venetians, Genoans and other Levant merchants. The wars of Muslim Conquest certainly assured formerly impoverished Arab tribesmen of riches and influence beyond their dreams. Islam may have offered populations of Mesopotamia exhausted by constant warfare between Christian Eastern Roman Empire and Zoroastrian Persians an opportunity to get rid of both. Vardanank preserved Armenia as a Christian state. In addition to religious reasons Armenian nobility may have resented the encroachment of Persian landlords, were concerned of their ability to maintain their wealth and power within a larger Persian empire. They certainly would not have had much influence at the large Persian court and would have had less ability to play off Persia against the Romans to stay independent. The Christian clergy also certainly had much to lose. While religion may be a factor in many wars, it doesn’t seem to be a strong candidate as a cause for war. 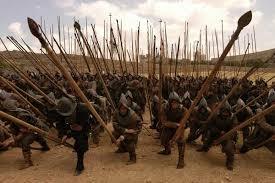 Rather, it seems to be a frequent justification or an additional impetus to encourage populations to fight. It appears that the participation of the United States and Europe in a number of the recent conflicts was “sold” to their populations partly by claiming that the prospective opponent is a dictatorship and therefore war against the dictator is necessary and just. This certainly was the case in Iraq, Syria, Libya and Ukraine. It seems that the same method has been a successful way to convince the citizens of a democracy to go to war since the Spartan “300”. Last week, Pope Francis said that the world is already in the midst of a World War III. He was referring to the number and ferocity of the conflicts in the world now: Syria, Libya, Iraq, Afghanistan, Yemen, Somalia, South Sudan, Ukraine, Pakistan, Gaza, etc. The Pontiff has spoken repeatedly in the last several months beseeching the participants to seek other ways to resolve conflicts. Ironicaly, this week, the President of the United States announced a plan to broaden the war against the Islamic State in Iraq (ISIL) and pledged money and “non-lethal” military aid to Ukraine, whose military forces include ultra-nationalist battalions carrying symbols very much resembling the Nazi Wolfsangel. In another ironic development, the United States Congress voted to arm and train “moderate” Syrian rebels to “fight ISIL”. Apparently, they forgot the recent lesson of Libya and a little more dated lesson taught by the formerly freedom-loving Afghani mujahideen (later more widely known as Al-Queda). Incidentally, claiming that the moderate Syrian rebels will fight ISIL allowed the United States government to overcome the popular resistance to arming these same rebels to fight Bashar Al-Assad. It is clear that the Syrian rebels at the first opportunity will turn those arms against Bashar Al-Assad’s troops, who already demonstrated their willingness to escalate the killing in response. When the Syrian rebellion started, the story in the media portrayed the rebels as fighters for democracy, and it’s possible that some were. Later the true affiliations of some of the rebels became better known. However, there seems to be little question that their common opponent, Bashar Al-Assad, is a hereditary dictator and very much an autocrat. In Libya, the European Union, backed up by the United States, all stable democracies, supplied air support against Muammar Qaddafi, a long-term dictator, an autocrat. The rebel ground troops, composed of factions of freedom fighters, and Al-Queda and ISIL affiliates, were another matter. The Afghanistan conflict is a continuation of a war which was fought between NATO, for the most part a military alliance of Western democracies against Taliban, an oppressive dictatorship. Most in the West are convinced that the Ukrainians are fighting for democracy against an incursion by the Russians ruled by a dictator. At least that is how the media propaganda campaign goes. Among these and other conflicts none appear to be or are represented as conflicts between democracies, or at least, they aren’t represented that way in the media. 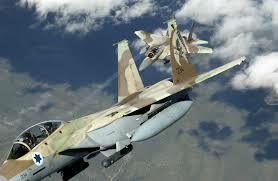 Arguments can be made that the Gaza conflict is between an elected Israeli government and an elected Hamas government. However it must be noted the Israeli government suppresses Palestinians and therefore does not look democratic to them while Hamas tries to kill Israelis and therefore isn’t perceived as being democratic by them. Similarly, both Western Ukrainian and Eastern Ukrainians who are actually at war both held elections and referendums and try to look as democratic as possible. Russia, too, just held gubernatorial and local government elections, although it was not widely reported in the world media. Also, Russia is so dominated by a single party that it isn’t clear how real these elections are. That democracies don’t fight each other very often is well-known empirical observation, first expressed by Immanuel Kant in 1795, resurrected in 1964 and much researched and written about since then. The political science theory that grew out of that observation is called the Democratic Peace Theory. The political scientists have accumulated databases of wars and applied sophisticated statistical analysis to show that indeed, democracies don’t fight each other and that the greater the difference between the democracy rating of the countries the greater the potential for war. Some of the better known books on the subject are Spencer Weart’s “Never at War” and Francis Fukuyama’s “The End of History and the Last Man”. 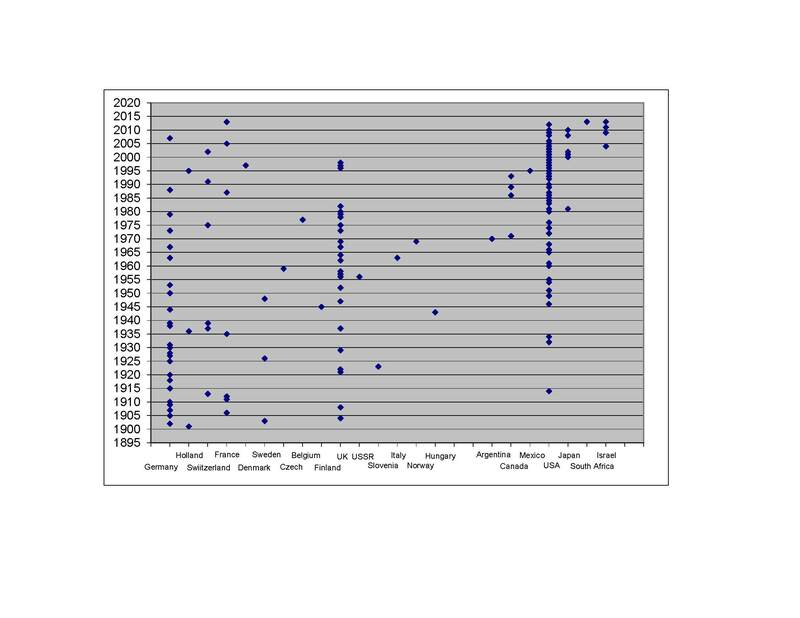 Statistical analysis on war databases was extended to show that not only did democracies fight each other much less frequently, but autocracies also fight each other less than they fight democracies. 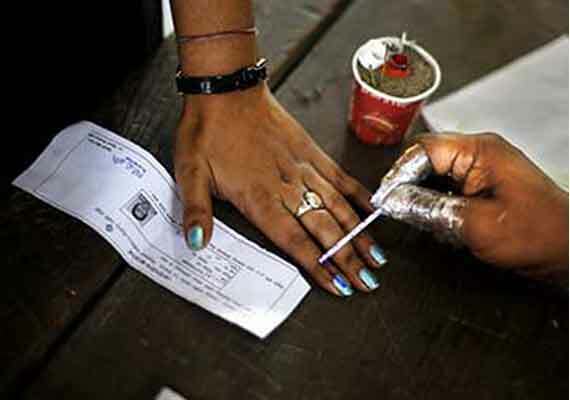 When democracies did fight each other, some political scientists claimed it was during periods when the democracies were transitioning into or out of democracy and therefore may not have looked like democracies to each other. Peloponnesian Wars between Sparta and Athens with occasional involvement of other city-states. 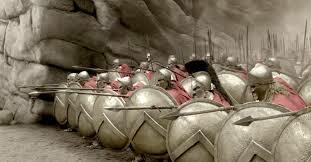 Both Sparta and Athens were at times democracies, oligarchies and dictatorships throughout the war. The American Civil War. Both governments were elected, but the South certainly didn’t look very democratic to the slaves and Abraham Lincoln was widely accused of being a contemporary Caesar. World War I with Germany, France and England all having elected parliaments. However, it is thought that in Germany the Kaiser was a relatively strong monarch, especially in foreign affairs and among the combatants Russia and Turkey were autocracies. The Russo-Georgian war of 2008, when both Georgia and Russia had elected governments, although the media and some in the US government claimed that Russia was an emerging dictatorship. There are alternative theories. Some claim that wars are economic in nature and since democracies are generally more prosperous, they are less likely to fight. Another theory is that states act to increase their power and go to war when they consider that they may improve their position. The many exceptions to the DPT certainly give ammunition to the alternative viewpoints. Saddam is a ruthless dictator who has killed his own citizens by the thousands. Iraqis deserve to be free and democratic. Therefore the war against Saddam’s Iraq is a just and righteous war. The infamous WMD argument: Nuclear, biological and chemical warheads in the hands of a ruthless dictator (see above) surely threaten the world. Saddam cooperated with Al-Queda which just recently attacked the U.S. on its own soil on 9/11. Muammar Qaddafi is a ruthless dictator who terrorized his own people and therefore supporting Qaddafi’s enemies with airstrikes is just and righteous. Bashar Al-Assad is a ruthless dictator who gasses his own people and therefore supplying rebels who fight against him with non-lethal and lethal assistance is just and righteous. Vladimir Putin is a ruthless dictator who has ordered executions of journalists and persecution of political opposition, including a few oligarchs and has propped up ruthless dictators like Bashar Al-Assad. Therefore, it is just and righteous to contain Russia by surrounding it with governments hostile to Russia and possibly initiate regime change via sanctions. European participation in the recent conflicts in Lybia, Syria, Ukraine and Iraq seems to indicate that the European governments also began subscribing to the DPT and began applying its principles in practice. History, political science and the current events demonstrate that the difference in the types of governments is a propaganda tool which is often used to “sell” war to the populations of the democracies. The recent escalation of a number of conflicts around the world as noted by Pope Francis may be at least partly due to applications of the Democratic Peace Theory in practice. These words were written by Jack London in a 1912 novel “The Scarlet Plague” . Yes, that same Jack London who wrote the cheerful and optimistic “White Fang” and “Call of the Wild”. In the novel the Scarlet Plague emptied the planet in a matter of days in 2013. Jack London was just a little off. It’s hard to predict things 100 years into the future. However, the Ebola virus did start in West Africa in 2013. Ebola breaks down blood vessel walls and mucous membranes, and colors victims scarlet by causing them to bleed out externally and internally. The virus is lethal, but so far isn’t as lethal as to reduce the world’s population to a million as the Scarlet Plague did. 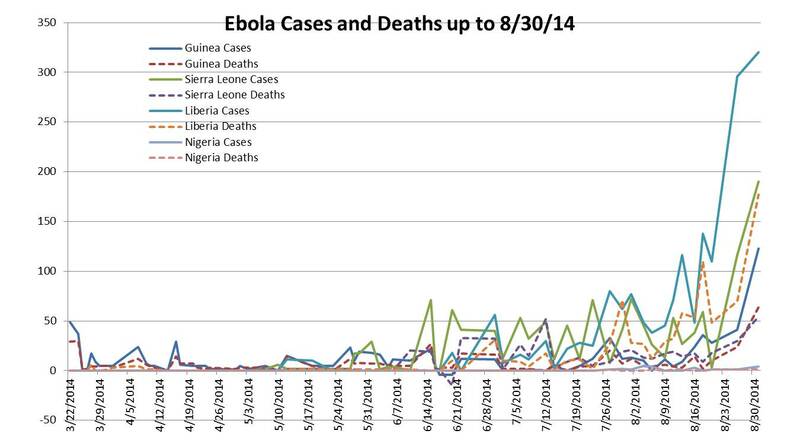 So far the Center for Disease Control (CDC) numbers indicate Ebola has approximately 55% mortality rate. It is highly contagious, but isn’t airborne, and appears to require transmission by contact of host’s body fluids with the membrane tissue of the recipient: mouth, nose, eyes, open wounds, sexual organs, etc. An official with Doctors Without Borders says the outbreak is “totally out of control” . At some point approximately 10% of people stricken with the disease were health care professionals, including 3 American doctors and 3 top doctors in West African countries, which may indicate that the virus may have developed a transmission mechanism the medical professionals are not aware of. The virus is mutating fast. Many of the local healthcare workers are sick, dead, dying, on strike or have left their posts in fear of exposure. International healthcare workers are not volunteering. Predicting the future outside one’s own area of expertise usually means the projections lack any credibility. 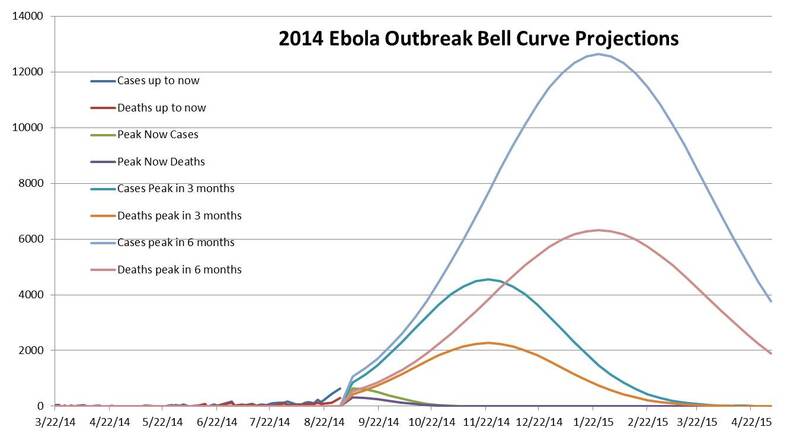 For whatever it is worth, if the disease does progress along as indicated by these curves, it would mean that is the outbreak begins to decline immediately there may be approximately 6500 cases and approximately 3200 deaths. If it takes 3 months to begin reducing weekly infection rates and subsequently deaths, there may be as many as 70 thousand cases and 35 thousand deaths. If it takes 6 months for the infection rates to spread, there may be as many as 300 thousand cases and 150 thousand deaths. Given today’s interconnected world, these deaths are likely not to be contained to West Africa. When natural disasters strike Malaysia or Haiti, the global community donates tens and hundreds of millions to the efforts. This Ebola outbreak has the potential, even if it’s a relatively small potential to become a global crisis. Those of us who can should donate to Doctors without Borders/Medicins sans Frontiers and other reputable medical charities to allow them to pay bonuses to the local healthcare workers and to buy protective equipment and disinfecting chemicals. As an aside, Jack London didn’t miss too far on his other projections: we don’t have Morgan the Fifth, but we are talking about Bush the Third and Clinton the Second. There’s no Board of Magnates per se, but the 0.1% of our society has become so rich as to attempt to buy elections and to pick candidates by controlling the flow of donations. Jack London, living during the previous most unequal period in the U.S. history, simply drew a straight line to the beginning of the 21st century. Writing in 1912, how was he to know that WW1, the Great Depression and WW2 will decimate the ranks of the super-rich in absolute and relative terms. In this world burgeoning with nearly six billion people, Armenians are few. Worldwide, there are perhaps 7.5 to 10 million Armenians. Approximately 3.2 million live in the Republic of Armenia, located to the northeast of Turkey, northwest of Iran, west of Azerbaijan and Artsakh (formerly Nagorno-Karabagh), south and southeast of Georgia. It is a perilous neighborhood. Just in the last ten years and continuing even now, shooting wars thundered in the Nagorno-Karabagh (historic Artsakh) to the east of the current Republic of Armenia, Iraq to the south, and in Georgia and Chechnya to the north. Continuous low level and sometimes not so low level warfare goes on in the Turkish Kurdistan, also to the south. Just recently, Iraq is again in flames. Further southwest, Lebanon has been a basket case of factional warfare. At its greatest extent, under Tigran (or Tigranes) II the Great at the end of the first century AD, Armenian lands extended as far south as the north of modern Iraq, as far west as the Turkish province of Mersin (about midway west through Turkey), as far east as the Iranian province of Zinjan (about halfway from the western Iranian border to Teheran), incorporating many non-Armenian subjects as well as ethnic Armenians. Armenia may be the oldest relatively autonomously surviving state in the world. The story of Armenian statehood webbed and flowed until the demise of the Armenian Cilician Kingdom in 1375 when the defeat of the Armenian forces by the Egyptian Mameluks opened the floodgates of the Turkish tide which later swamped the entire Anatolian Peninsula. A majority of Armenians, about 5.5 to 7 million are Eastern Armenians (arev-elkya hayer, Sunrise Armenians), while the smaller number, 2 to 4 million, are the Western Armenians (arev-mta hayer, Sunset Armenians). Until the breakup of the Soviet Union Eastern Armenians lived in Armenia, Russia and the other former republics of the defunct Soviet Union and in Iran. Most Western Armenians live elsewhere around the world. The largest contingent lives in Turkey, followed by the United States, France, Syria, Lebanon and Argentina. Starting in about 1929, the Soviet Armenia welcomed and financed the repatriation of the Armenian refugees, including Western Armenians. Tens of thousands of Western Armenians, mostly from the Middle Eastern countries, moved back to Armenia in mid-20th century to rejoin the “homeland” they really never knew. The Western (Sunset) Armenians composed almost the entire Armenian Diaspora before the fall of the Soviet Union, except for the contingent in Iran. Iranian Armenians are Eastern Armenians. Since the fall of the Berlin Wall and the subsequent impoverishment of the former Soviet Union republics, combined with inhumane blockade of the Republic of Armenia by Turkey and the Nagorno-Karabagh war with Azerbaijan, Armenian Diaspora grew to include many Eastern Armenians, especially the United States Diaspora. Western Armenians differ from their Eastern Armenians by language, by food, and by their customs. In fact, although both languages are mutually comprehensible, they are different not only by an accent, but also by sentence structure, alphabet and by word conjugation. Such a large difference in languages indicates an ancient separation of the ethnic subgroups speaking each respective language. By way of comparison, American English is very different from British English in accent and pronunciation, but is virtually indistinguishable from it in writing despite 230 years of separation. Although there are major differences in languages, the roots of nearly all words are the same. Eastern Armenians tend to pepper their speech with Russian borrowed words while the Western Armenians, all or most of who originally lived on the territory of the former Ottoman Empire, borrowed Turkish, Arabic, and French words, latter because Arabs themselves borrowed modern words and expressions from the French. There is an amusing story which illustrates the origins of borrowed words each group uses: when Western Armenians began arriving to the Soviet Socialist Republic of Armenia the locals made fun of them saying that the western Armenians have trouble getting to anywhere on time because they have to carry around their beds tied to their necks. The pun had originated from the French word “cravat”, meaning necktie, used by the Western Armenians. Russian word “kravat”, familiar to the Eastern Armenians, means a “bed”. Since most Western Armenians came to the Soviet Armenia from Arabic countries and Turkey, there also may be a play on the more relaxed, Middle Eastern, attitude of the Western Armenians to time. The tragedy of Western Armenia is that its rich culture, history and heritage are about to recede beyond the horizon of time. A hemorrhaging blow was struck long ago when of many of the educated members of the community were rounded up and summarily murdered during the Armenian Genocide in the beginning of the 20th century. The center of the Western Armenian culture then (and going back for centuries) was Constantinople (now Istanbul), for nearly fifteen centuries the center of many cultures. Although splashes of violence and ethnic cleansing by the Turks against the Armenians were recorded back to 1895, an extended period of indiscriminate killing began with the rounding up and murder of the leaders of the Constantinople community starting on April 24th, 1915. Next year will be one hundred years since that iniquity was perpetrated. It wasn’t just the people who were killed, an entire civilization was beheaded. Some hearths keeping the embers of culture alive remained in Lebanon until that country imploded. In Iraq until the 2nd Gulf War and in Syria now also in flames. In these mostly Muslim turbulent countries the Christian Armenians kept to themselves. The United States – peaceful, Christian and prosperous, presents a different kind of challenge to the Western Armenian culture. Armenians, often industrious and frequently enough prosperous because of their industry, assimilate easily. In losing their own culture they contribute yet another very small bright thread into the colorful tapestry of the greatest country in the world. Much has been written about the US shale gas phenomenon and the “fracking” technology which, according to popular opinion, is responsible for it. However, analysis shows that in reality another global phenomenon the high global oil prices, is responsible for what some call the US “shale gale”. Hydraulic fracturing or “fracking” technology has been in use since the 1980s, but only with the more recent increase the global crude prices did the “shale gale” blow. By now everyone in the energy industry is probably tired of seeing some version of the graph in Figure 1 below, however some of my readers in different fields of pursuit may not have seen it or may not have seen it as often. The graph shows average market prices of energy for different hydrocarbon sources of primary energy. US DOE’s Energy Information Administration (EIA) is the source of the data. EIA’s data is in prices per unit of fuel. Fuels units are short tons of bituminous coal, barrels of West Texas Intermediate delivered to Cushing, Oklahoma, and thousand standard cubic feet of natural gas delivered to citigate or to an electrical power utility (typically a low cost buyer). These units were converted to average thermal energy they provide upon combustion. 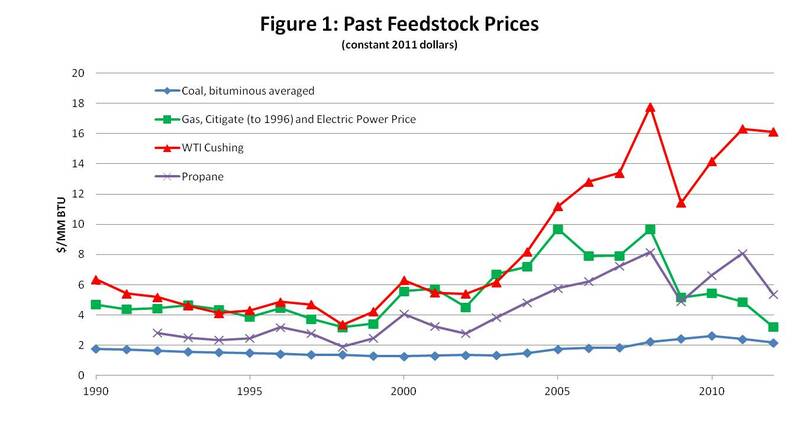 The resulting prices for thermal energy (in this case in millions of BTU) are shown in Figure 1.
Review of the graph shows that prior to mid-2000’s energy prices trended together. Oil (as represented by West Texas Intermediate) was roughly the same price as natural gas (perhaps just slightly higher at times) on thermal energy basis, while coal was somewhat lower, but parallel to oil and gas. Coal, as a solid, is more difficult and more expensive to recover, transport and convert into energy as compared to the liquid oil or the gas and has always been discounted to incentivize the users. Propane, a by-product of natural gas production and usually sold as LPG, is a much smaller volume fuel. Although this graph goes back only to 1990, the relative price trends were the same for a long time prior. However, starting sometime around 2005, the prices of thermal energy from oil shot up and left the other forms of energy far behind. The question of why the oil prices shot up is another story. For now let’s just note that they did. Shale or conventional natural gas may have different composition and characteristics when it comes out of the ground. It so happens that a number of shale gas plays in the United States produce what is known as “wet” gas, meaning that the gas is saturated with high content of liquid hydrocarbons known as natural gas liquids, or NGL. There is a range of natural gas liquids. The heaviest type is the so-called natural gasoline, which has very roughly similar composition as the gasoline we use in our cars. Natural gasoline is valued roughly about the same as crude oil. There is a range of lighter products similar to LPG the value of which spans the range between the crude and the natural gas prices. For example, propane, a heavy gas, starting at about 2010 is valued higher than natural gas but much lower than crude oil. The NGL content of produced natural gas in some shale gases ranges from 4 to 9 or maybe even higher gallons of NGL per one thousand standard cubic feet of natural gas. The math is simple. Let’s say 1000 standard cubic feet of produced shale gas brings up 5 gallons of liquids (at the lower end of the typical range of liquids content) with an average price of $40 per barrel (or about 40% of the crude oil price). $40 per barrel is approximately $1 per gallon, so just the liquids bring in $5 per standard cubic feet, which happens to be close to the current price of approximately $4 per million BTU. One of the nicest coincidences in the English system of units is that one: one thousand standard cubic feet of natural gas produces approximately one million BTU of thermal energy upon combustion. Natural gas and liquids together bring in $9 per million BTU. The shale gas producers need all of that income. Hydraulic fracturing is expensive. Industry estimates that a breakeven price for shale gas produced via hydraulic fracturing is somewhere around $6 per one thousand standard cubic feet. That figure obviously varies widely depending on the particular characteristics of the production. What is also clear from our simple example is that the shale gas producer who produced the gas and liquids at $6 breakeven can sell the natural gas at $2 per million BTU and still cover his costs, although he would not have any money for reinvestment. It is also clear that if a shale play produces dry gas, the producer would lose money. There are a number of dry gas plays in the United States which are not being produced because the natural gas price is too low. 2) High global prices of oil justified wet gas production. It’s an interesting thing: the U.S. shale gas phenomenon is responsible for multibillion dollar investments in the United States manufacturing capacities leading some to proclaim the rebirth of U.S. manufacturing. “Insourcing”, Louisiana petrochemical construction boom, Texas Hill Country wineries, Houston housing boom, lucrative North Dakota salaries – all are the consequences of the “shale gale”. Yet all of that rests on the oily sheen of the high crude price bubble. How likely is that bubble to burst? Not very likely to burst very soon in my opinion, but that’s another story. We know that at the end of the 19th century the family lived in Rodosto (now Tekirdag, formerly also called Bizanthi), about 135 km west of Constantinople (now Istanbul). In 1915, during the Armenian Genocide and concurrent ethnic cleansing, Turkish regular army and Kurdish irregulars drove the family, mostly on foot, across entire Turkey. Some members of the family perished or became separated from the rest. The survivors settled in Mosul, Iraq, and later relocated to Baghdad. One daughter, separated from the family, much later was located in Bulgaria. The middle suffix -ji- in Abaza-ji-an is an Armenian version of Turkic “-çi” or “-smith,” as in “blacksmith”. For example, the famous cymbal manufacturer’s name Zildjian came from Turkish “Zild” – “bell” or “cymbal” and “ji” – “smith” or “maker”. Thus Zildjian is “cymbal-maker”, well-known since 1623. Such names are always Western Armenian, since they had to have practiced a trade in Turkey to acquire the Turkish -ji- suffix. Other examples are Kazanji-an – “kettle-maker”, Tutunji-an – “tobacco- or cigarette-maker”, Kurkji-an – “fur-maker” or furrier, Deukmenji-an – “metalworker”. 1. Abaza were equestrian decorative medallions or pendants originally made by the Abaza tribe of northern Caucasus (ethnically related to Abkhaz). 2. Wax amulets made from church candles worn to remind the wearer of a vow they made were also called “abaza”. 3. Abaz or abaza was a small Persian silver coin that was widely traded in Trans-Caucasus. Among other references, Lev Tolstoy mentioned its existence in his memoirs of Caucasian service (1,2). All three items are distantly related to each other in a wider sense of being decorative accouterments. Small silver coin, punched and threaded, was and is often used in the Middle East as precious, yet inexpensive costume jewelry. Perhaps Abazajian meant “son of ornament-maker” or “son of bijouterier”. The first mention of Turkish-affiliated name Abaza was in 1622, when Abaza Mehmed, Pasha of Erzerum (Theodosiopolis), rebelled against the Ottoman sultan Osman II. Another Abaza, Siyavuş Pasha, possibly a member of the same family, briefly became an Ottoman Grand Vizier in 1651. He also held the post two more times, in 1656 and 1687/88, for a few months at a time (3). In 1711 Ilia Andreyevich Abaza, possibly a representative of the same family, was captured by or came over to the Russians during one of many Russo-Turkish wars, swore allegiance to the czar and founded a Russian noble house. One of his descendants became a high-placed advisor to the czar in the 19th century(1). Although some historians think Abaza Mehmed and Abaza Siyavuş Pashas may have come from the Caucasian Abaza tribe, Russian records indicate that Ilia Andreyevich Abaza was an Orthodox Christian and may have been Armenian, inferring that Abaza Mehmed and Siyavuş Pashas may have been Armenian as well. Genographic analysis shows that on the paternal side the family belongs to a relatively rare genotype which crossed the land bridge from Africa either before or after the main wave of migration, settled in the Middle East and, during Neolithic period, migrated to the Balkans. Most of the Abazajian paternal ancestors did not move much in the succeeding 10,000 to 20,000 years, ending the 19th century in Rodosto in eastern Thrace. They have witnessed the Persian armies crossing the Bosphorus on their way to Marathon and Thermopylae, Alexander the Great’s conquering army preparing for their invasion of Asia, Diadochi armies crisscrossing Thrace in search for innumerable battles. They probably prospered under the benevolent Roman rule and saw the Basilei travel through the countryside. They survived the Ottoman conquest of Constantinople in 1453 and the tyrannical rule of the Sultans. The Armenian Genocide, the first Genocide of the modern age, succeeded in what thousands of years and hundreds of wars could not, scattering family members to Iraq, Bulgaria, Russia and, eventually, the United States. (3) Charles Wilkins, Wake Forest University, “Aleppo in the ‘The Age of Rebellious Governors’: The Revolts of Seydi Ahmed Pasha (1655-56) and Abaza Hasan Pasha (1658-59).” delivered at the 2006 Middle Eastern Studies Association Conference, Boston, MA.